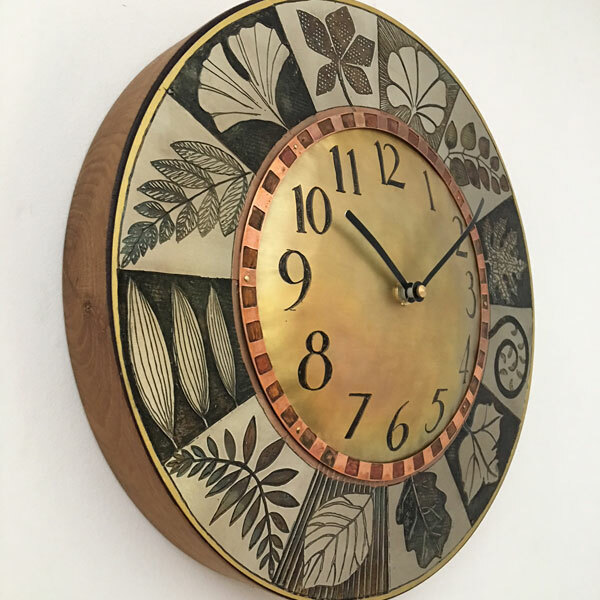 Having graduated from a BA Hons Degree in Art and Design, Rebecca went on to establish a business designing and making clocks. 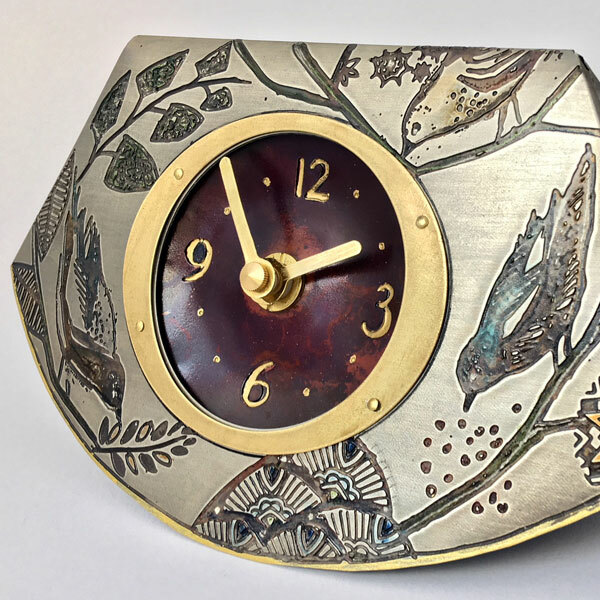 She uses a combination of metals, including Nickel Silver, Copper and Brass. 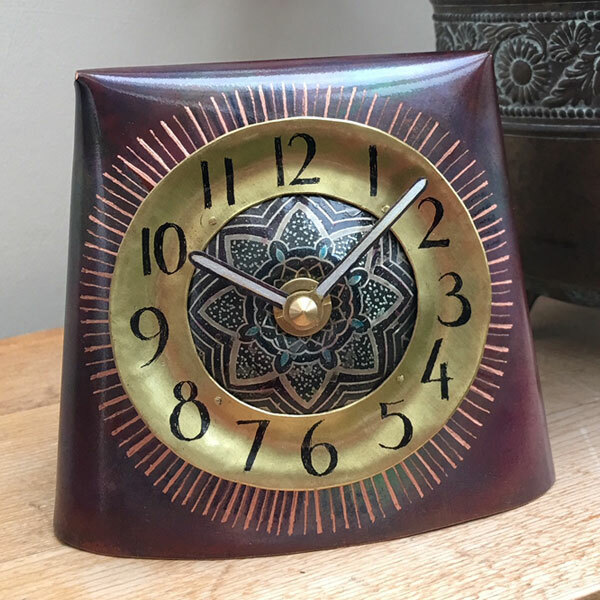 Her clocks are etched, riveted, heat treated and formed, to achieve a rich variety of colours, textures and shapes. 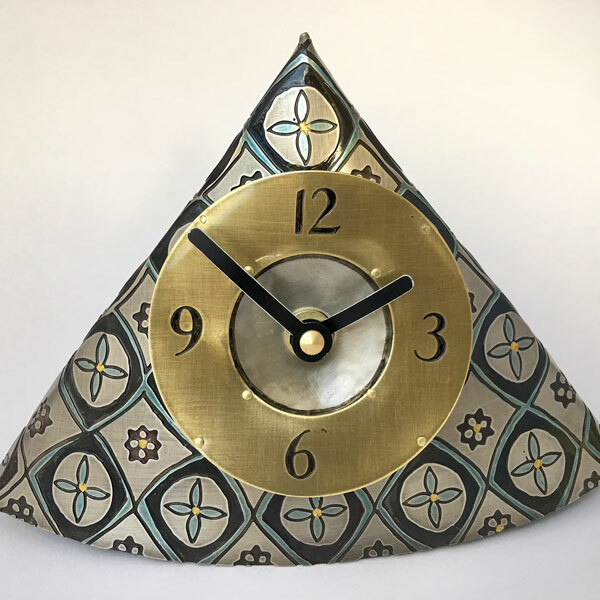 They have been exhibited and sold in galleries around the country, including Primavera in her home town of Cambridge, and Liberty in London. 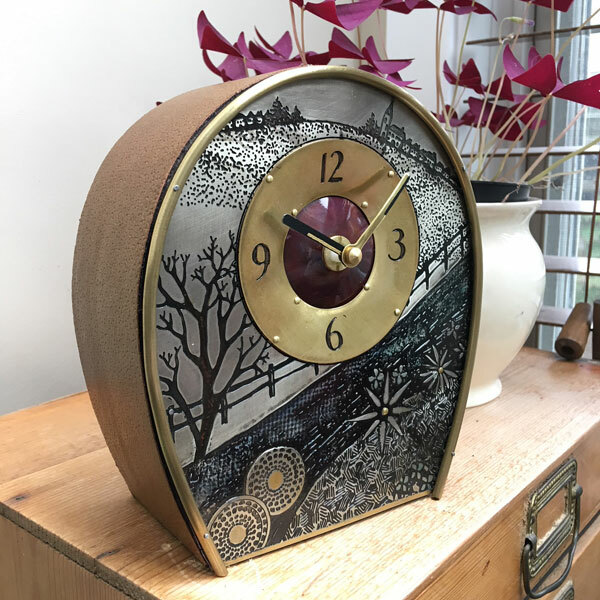 She now divides her time between clockmaking and painting in mixed media. Using gouache, acrylic, pastel, ink and graphite, her images are sliced and layered. This technique creates a feeling of depth, contrast and movement in her distinctive and engaging pictures.